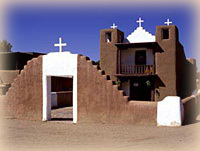 Out-of-town wedding guests often spend a weekend enjoying the rich cultural, historic, and artistic wealth of northern New Mexico. Let us create a custom tour for your guests while you're getting ready for your marriage ceremony or after you've left for your honeymoon. 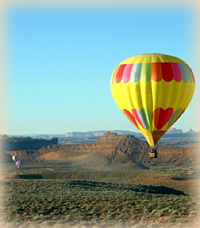 Santa Fe is rich in opportunities for active guests. Whether your taste runs to horseback riding, golfing, fishing, white-water rafting, hiking or skiing, we can arrange a half-day or whole day tour, with transportation, snacks, or a picnic lunch. If you are interested a tour, please check the box for Guest & Lover Tours on your request form. In the comment box, indicate the tour(s) that interest you and the estimated number of passengers. "You did such a great job...we enjoyed each of the tours you did..."